It’s the vast left-wing conspiracy. 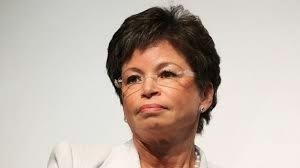 Obama senior adviser Valerie Jarrett leaked to the press details of Hillary Clinton’s use of a private e-mail address during her time as secretary of state, sources tell me. But she did so through people outside the ­administration, so the story couldn’t be traced to her or the White House. In addition, at Jarrett’s behest, the State Department was ordered to launch a series of investigations into Hillary’s conduct at Foggy Bottom, including the use of her expense account, the disbursement of funds, her contact with foreign leaders and her possible collusion with the Clinton Foundation. Six separate probes into Hillary’s performance have been ­going on at the State Department. I’m told that the e-mail scandal was timed to come out just as Hillary was on the verge of formally announcing that she was running for president — and that there’s more to come. Members of Bill Clinton’s camp say the former president suspects the White House is the source of the leak and is furious.